The war on costs today has seen several major mining projects in Australia and elsewhere in the world put on ice because of operating cost blow-outs, uncertainties ahead on metal prices and constant revisits to blueprints. The challenge for existing operators' costs is maintaining mineral processing plant and refineries and the related issues of downtime and repair or replacement of equipment. For the first time an effective method of slurry pipeline bend wear avoidance has been developed. This invention addresses the cause of wear rather than trying to address the effect. 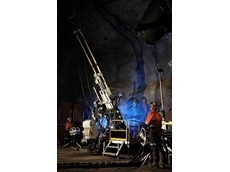 Minimising wear and tear can produce massive savings on equipment, pipe work maintenance and downtime. Maxbend, has focused on the pipe bend with a static device that reconfigures the flow characteristics of a slurry so it limits wear on the bend without relying on linings. A number of pilot test plants were used to develop Maxbend. Development provided real-time imaging so that the effects of solids flow in a pipe bend could be viewed and alternative designs and configurations developed. The application of the Maxbend technology in actual process plants has returned positive results. 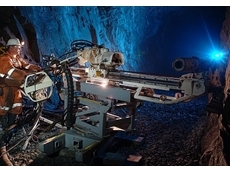 One of WA's gold mines, the Edna May at Westonia owned by Evolution Mining, changed conventional bends in the gravity circuit on its plant to Maxbend and instead of having to change worn pipe bends every 500-1000 hours, Maxbend has been achieving 8000 hours plus. One of WA's major refineries is utilising Max­bend in place of conventional pipe bends that were wearing within 120 days and having to be replaced or exchanged during a shut down cycle. So far the Maxbend has been in place for more than 305 days and is estimated to remain in service for 720 plus. This technology can be applied to any line size, material and pipe specification for both liquid and gas phase streams. The company says while Maxbend reduces wear the flow conditioning technology has other applications, for example the performance of process additives such as flocculants can be enhanced by the mid-stream injection into a low shear zone where contact duration is maximised. Presenting at a recent international alumina workshop, Maxbend principal Scott Doig said the ability to change the solids profile of a slurry stream without compromise to the system offers new opportunities in process reliability for components such as valves, strainers, heat exchangers, distributors and cyclones. The development of Maxbend and its application in processing plant has highlighted that generally there are issues with the performance of hydro-cyclones originating from poor flow distribution. These observations have led to development of a different concept for hydro-cyclone distributor design. "The problem standard cyclone distributor systems face is gravity hang up in the vertical supply line and uneven settling in the distributor causing slurry to pulse as it enters a standard distributor. This in turn creates a velocity slump which produces an uneven or poorly distributed solids/fluid feed into the cyclone inlet," Doig said. "This out of specification and poorly distributed feed causes accelerated wear and overloads the cyclone device and result further in poor process stability." Doig looked at the problem of pulsing in a vertical pipe and, if this could be mixed and the flow to the cyclones balanced, then the cyclones would receive an uninterrupted even feed. To achieve the flow balance a new flow distribution technology was developed to optimise flow to multiple devices requiring a uniform flow. This technology was enhanced by taking advantage of the Maxbend flow conditioning technology to create an optimised flow distribution to all devices connected to a distributor. An additional benefit is the ability to fine tune flows while on line. The Maxbend and Distributor technologies have now gained use in a high wear mill circuit for ore classification in gold processing where even solids distribution has been achieved. As a result of these new upgrades, the hydro-cyclones average overflow has improved by more than four per cent, with no changes to the hydro-cyclones spigot or vortex finders. The life cycle of the on line hydro-cyclones wear is constant across all units; in addition the distributor and hydro-cyclone maintenance has reduced by 90 per cent over the previous system. This was all achieved by changing the feed pipe to a Maxbend static flow conditioning unit and the new static distributor. 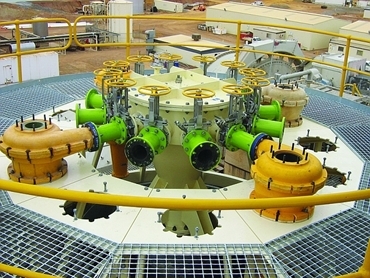 This technology can be utilised in many other pro­cessing industries such as nickel, copper, iron ore and alumina; in any plant that can benefit from good solids particle distribution for the concentrate or for de-watering the slurry. The distributor technology represents a step change to process stability and process costs.